These are my latest acquisitions, captured via a police raid on a drug dealers house. Not the exact dish but the species. The RSPCA apparently got my number from a couple of Aquatic stores nearby and provided me with the tanks (thankfully) these tanks will be here at 9am tomorrow. The fish arrive Tuesday. So I have a busy weekend setting up two massive tanks for them. Not what I was planning on doing this weekend but what I have coming I could not say no to. 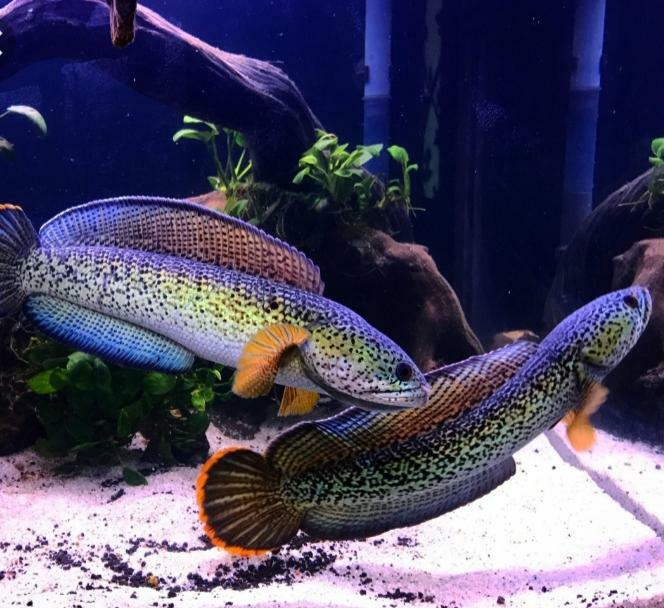 First photograph is a breeding pair of Barca Channa (Rainbow Snakehead Eel) these are illegal in the UK now so the only way for me to legally keep these fish is rescue or buy from a certified captive breeder. You need documentation that the fish was captive bred or has been captive for over 10 years. I saw these at an aquarium in Japan 10 years ago and have wanted them since. Next. OMG OMG OMG. I will need clean underwear for these two. My dream fish. 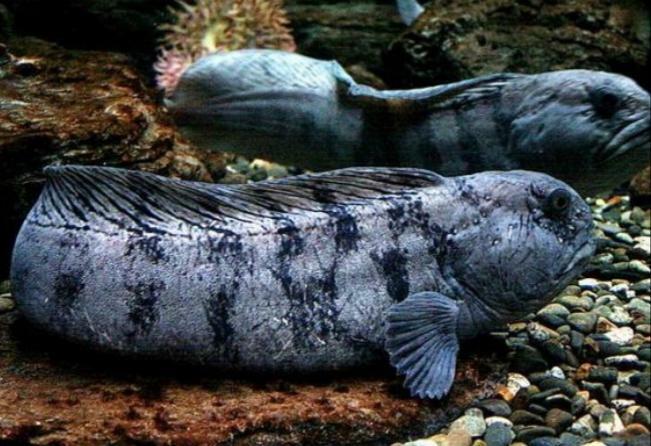 Wolf Fish. These guys are Piranha eaters and with the above possibly the two most aggressive freshwater fish species (with Arrowena) in the world. These guys have been known to leap up to 2 foot from the water to catch birds and monkeys so i need a lid and secured feeding hatch and maybe some chainmail??? I need to learn not to put my hands in these tanks, I will lose digits if I do that. So I am getting two 150 Gallon tanks delivered tomorrow with thanks to the RSPCA and they have taken my details for other potential rescues. I did make sure to tell them I really only want Bettas and other Nano Fish but these....... oh I love them already. "Eddie G" for one of the wolf fish, short for the stout pugnacious face and jaw, and bare smile, of actor Edward G. Robinson. Sorry i missed this Bulga, I did not get them in teh end.